This article first appeared in City & Country, The Edge Malaysia Weekly, on October 23, 2017 - October 29, 2017. Taman Desa, a leafy and mature neighbourhood located off Jalan Kelang Lama and the East-West Link Expressway, has remained sought after since it was first developed in the 1970s. The popularity of the suburb, particularly among the middle to upper middle class, is because of its central location — it is near the city centre, Mid Valley City, KL Sentral and Bangsar, as well as the upcoming Bandar Malaysia. It also enjoys convenient access to major suburbs like Petaling Jaya, Mont’Kiara and Cheras. With more high-rises coming up in the neighbourhood — which was developed by Faber Group Bhd (now known as UEM Edgenta Bhd, a 70%-owned subsidiary of UEM Group Bhd) — the landscape is set to see considerable change. 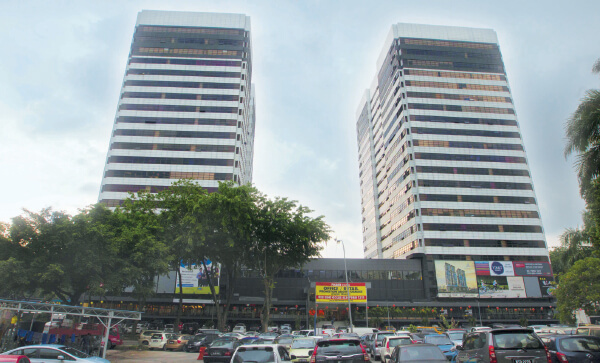 The most notable development is The Address by Maxim Holdings Sdn Bhd, which will offer, in Phase 1, 376 units over two 37-storey blocks, on top of a 7-storey car park podium. Launched in August, the project sits on 2.5 acres in Jalan Desa Bakti 2, with the units reportedly priced at an average of RM590 psf or RM650,000 onwards. 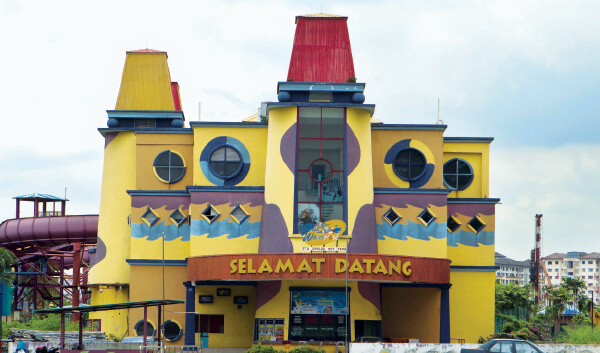 Another developer, Aset Kayamas Sdn Bhd, last year acquired the site of the defunct Desa Water Park and plans a mixed-used development on the sizeable 16.99ha tract comprising affordable housing, commercial and residential components. Last year, it launched more than 3,000 units of affordable homes under the Federal Territories Affordable Homes Programme, or Rumawip, that will be developed on the site. Meanwhile, SkyWorld Development Sdn Bhd, will reportedly launch [email protected] Desa in 4Q2017. The development, with a gross development value of RM280 million, is said to span around two acres and offer 333 residential units. 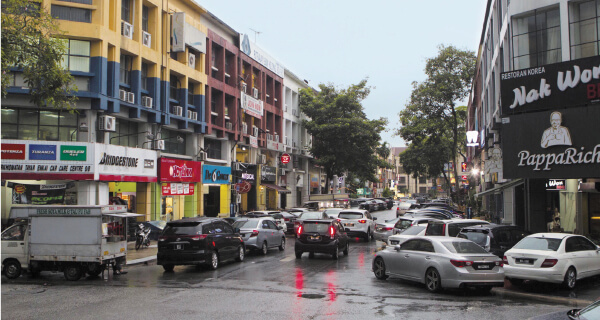 Residents of Taman Desa have voiced their concerns that the upcoming high-density developments could cause traffic congestion. 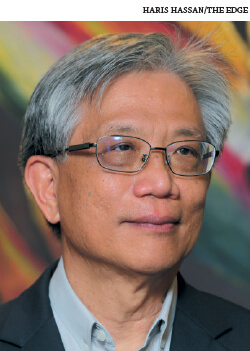 As Taman Desa is a mature neighbourhood with limited land remaining for development — mostly smaller plots with the exception of the Desa Water Park site — the area may be overdeveloped in future if infrastructure and public transport are not improved, according to Chan Wai Seen, director of CCO & Associates (KL) Sdn Bhd. “The government is expected to increase development density for certain strategic locations under the 11th Malaysia Plan, and Taman Desa is without a doubt a strategic and well-sought-after location. It is a good strategy to optimise land use in strategic areas but it may not augur well for the current residents,” he says. “At present, there are no MRT or LRT stations within Taman Desa although there is a proposed stop in Taman Desa under the MRT 3 (Circle Line) and BRT. Although Taman Desa is located near Bandar Malaysia, it is not directly accessible to the iconic township. It will be great if a flyover or underground tunnel is developed to link Taman Desa and Bandar Malaysia.” Apart from public transport services, Chan says it will be good to have a neighbourhood shopping mall to serve the residents. The latest additions to Taman Desa’s non-landed segment are Desa Eight and Desa Green, developed by UOA Group and completed in 2015 and 2016 respectively. 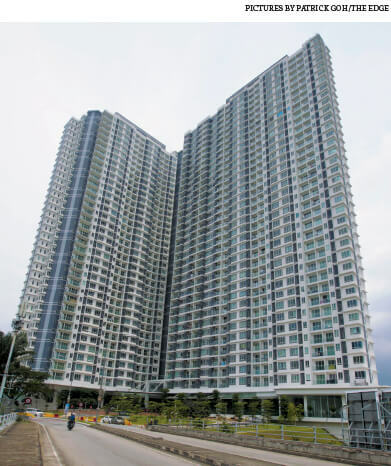 Desa Eight is a luxury development comprising 24 units, ranging in size from 3,729 to 7,987 sq ft, over two 14-storey blocks, while Desa Green offers 1,388 serviced apartments over three 35-storey towers, ranging in size from 578 to 945 sq ft. The residential property market in Taman Desa has remained stable but Henry Butcher’s Tang notes that there is less demand for large strata units. The residential neighbourhood, he notes, attracts mainly the middle income group with a limited budget. Nonetheless he remains optimistic about the medium to long-term future of the neighbourhood due to its strategic location. He says prices and take-up have been positive in the past five years, but cooling measures to curb property speculation, which have affected the Klang Valley property market in general, have not spared Taman Desa. Recent transacted prices of 2-storey terraced houses in the area range from RM1.1 million to RM1.4 million, while condos command RM350 to RM650 psf. “Newer condominium and serviced apartment projects in Taman Desa are easily fetching developer selling prices of RM600 psf and above. But before the market turned sluggish, new projects could command even higher prices of RM700 to RM800 psf and above,” he says. As Taman Desa’s key advantage is its strategic location, Chan believes the residential market will stabilise in the medium to long term, when developments at Bandar Malaysia and the former Desa Water Park take shape. 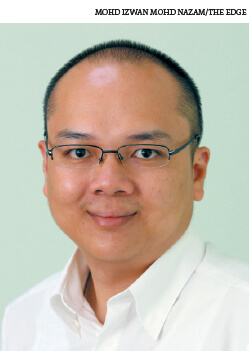 Meanwhile, the properties in Taman Desa that have appreciated the most are those along Jalan Kelang Lama, says CBD Properties Sdn Bhd managing director Datuk Adrian Wang. Transacted prices of landed properties have been on an increasing trend. The highest prices paid for a 3-storey semi-detached house and a 2-storey terraced house were RM3.5 million and RM1.69 million, respectively, as at June 2015. As for newer landed properties, the asking price for Armada Villa is RM2.9 million onwards for a unit with a built-up of 40ft by 85ft, and for older terraced houses, RM1.38 million for a house with a built-up of 22ft by 80ft, according to Wang. The number of transactions of landed properties in Taman Desa dropped from 36 units in 2010 to merely four in the first half of 2015. As for non-landed properties, transacted numbers and prices have been more consistent. “The recorded transacted prices have increased by about 88% from RM271 psf in 2010 to RM508 psf in June 2015, while the number of transacted units decreased by about 58% to 155 units in 2014, from 371 units in 2010,” he says. Taman Desa is well planned with plenty of amenities, ranging from a wide range of F&B options to convenience stores, banks, clinics, local schools, nurseries and kindergartens. Faber Towers — an 18-storey twin commercial building at the heart of the neighbourhood and which is among the earliest high-rises in the city — was recently refurbished and now offers three podium levels of F&B and retail, including a popular neighbourhood grocer. 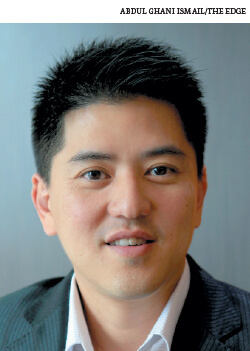 The area’s extensive amenities have made it a popular choice for tenants from the upper middle-income group as well as expatriates, says CBD Properties’s Wang. “It is a choice location for many [expatriates] who prefer to live at the fringe of the city centre and find [places like] Bangsar less affordable,” he says. “It has also provided a boost to the local economy as the retailers, restaurants and service providers would benefit from their patronage,” he says. As Taman Desa is near the Bandar Malaysia project, Tang foresees more companies from China that are involved in the mega project housing their staff in the neighbourhood. However, he cautions that there may be friction with locals over differences in culture and behaviour. Chan says there are pros and cons when certain locations are dominated by a particular group. For instance, it may be good for the rental market but if the trend persists in the medium to long term, it may change the identity of the neighbourhood. CBD Properties’ Wang says as the majority of landed properties in Taman Desa are over 30 years old, one can still rent an unrenovated 2-storey terrace house for RM2,500, which is “relatively low compared with condominiums”. Older (non-landed) properties in Taman Desa, for example at Danau Impian, can generally fetch RM420,000 to RM480,000 and be rented out for RM1,300 to RM1,800. Meanwhile, units at newer properties such as Desa Green are transacted from RM500,000 to RM660,000, with rents ranging from RM1,500 to RM2,500, he says. “Generally, newer condos and apartments in Taman Desa, based on a typical size of 1,500 sq ft with a 3-bedroom 2-bathroom layout, can fetch rents ranging from RM3,000 to RM4,500 a month, depending on the furnishing,” Wang says. Apart from Desa Green, popular non-landed properties in Taman Desa are Papillon, which has a nice environment and suitable sizes for families; OBD Gardens, which is well maintained and previously popular among Japanese expatriates; as well as Faber Ria and Casa Desa for their affordable prices, Tang says. The rental yield of condos in Taman Desa has performed better, with an average return on investment of at least 4%, than landed properties, which give yields of 1% to 3%.